Having bought pizza dough for two pizzas, my housemate and I decided to make one pizza and two calzones. We divided one Trader Joe’s pizza dough into two equally-sized balls and stretched them out into somewhat round pieces on a lightly floured surface. Brush the top lightly with olive oil, and top with grated Pecorino Romano cheese. Bake calzones on parchment paper on a baking sheet, ~25 minutes at 425° F, until crust is golden brown, like the edges of a nice pizza crust. 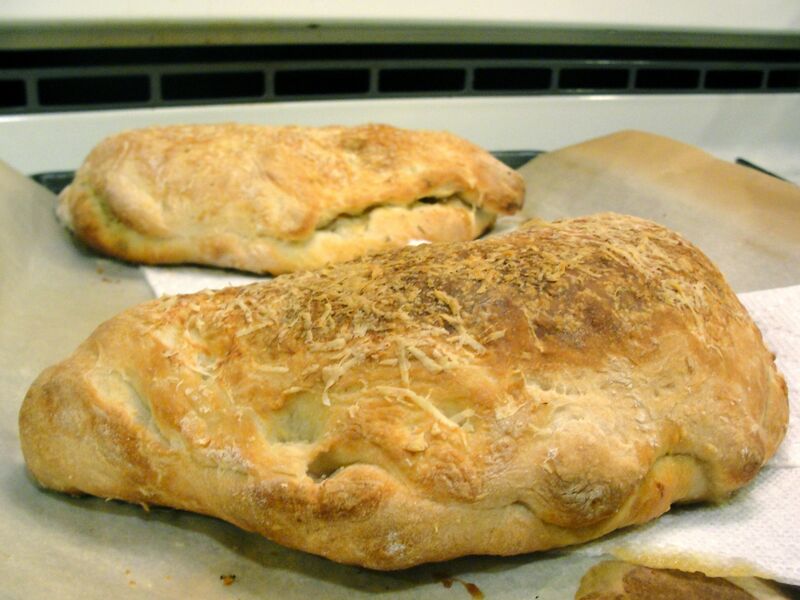 Calzones made with Trader Joe’s pizza dough. 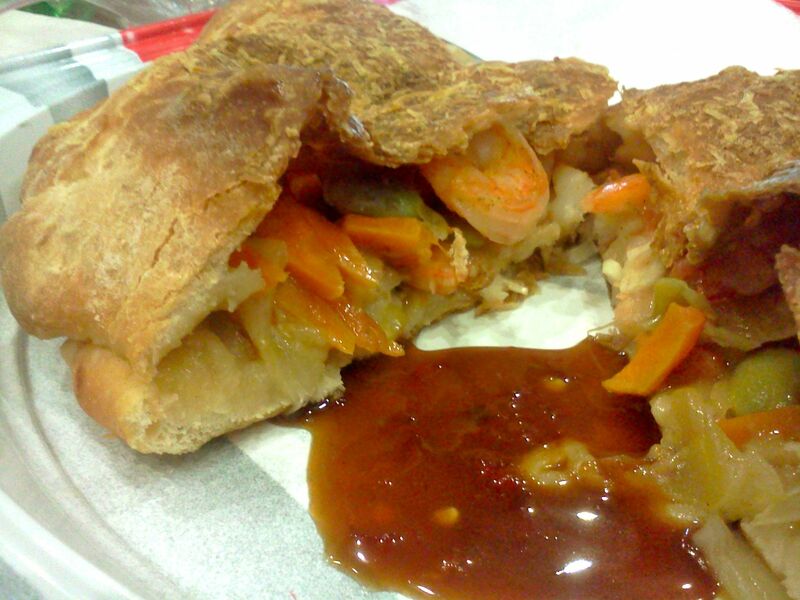 Making calzones was a nice alternative to pizza, and pretty convenient for lunch the next day.